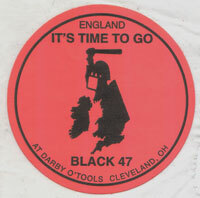 In the spring of 1995 Black 47 was on tour in the midwest. (See the list of gigs) HOME OF THE BRAVE had come out and Time To Go, which was written by Chris, was one of our most requested tunes. 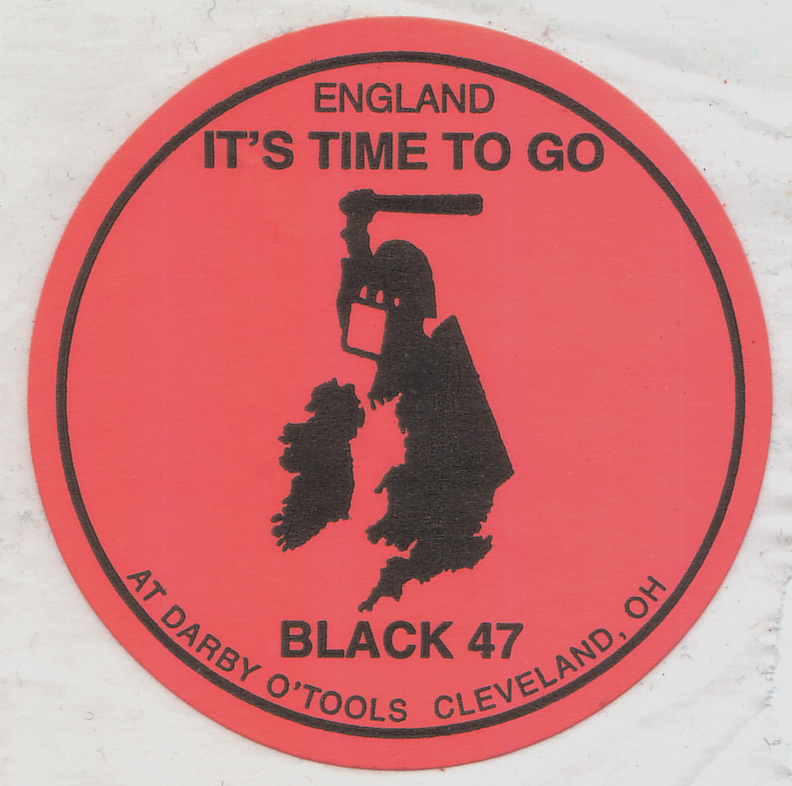 On 3/4/1995 we played a really cool place called Darby O'Toole's in North Olmsted Ohio near Cleveland. There was a definate Paddy Reilly's feel about the place and the gig had been sold out for three weeks prior to the show. These stickers were given out at the door to the 300 or so who showed up that night.